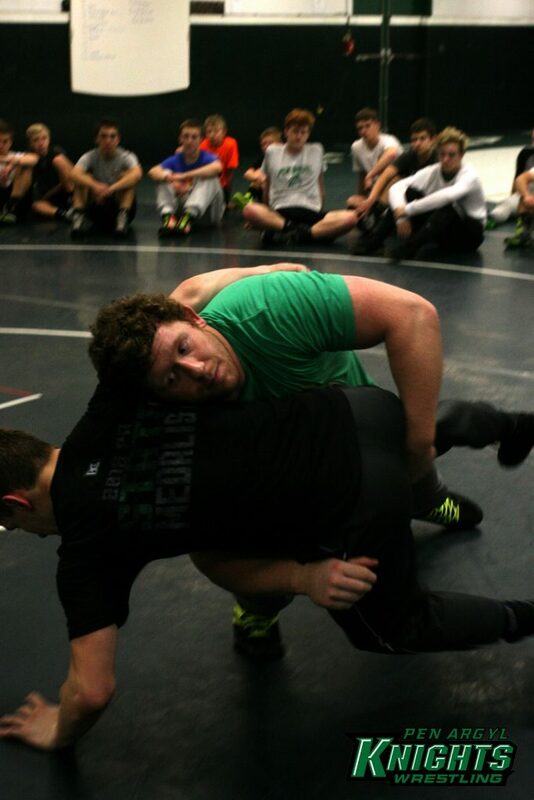 Earlier this month, Zach Rey, a former two-time state champion for Hopatcong High School in New Jersey, and a former NCAA Division I champion for Lehigh University in Pennsylvania, held a two day wrestling clinic for the Green Knight Wrestling Club in Pen Argyl, Pa. 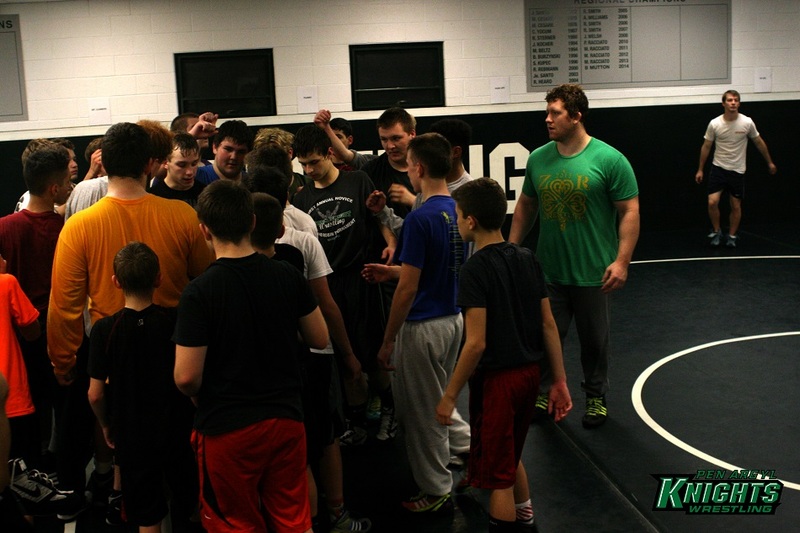 The club supports the midget, junior high, and high school wrestling programs. 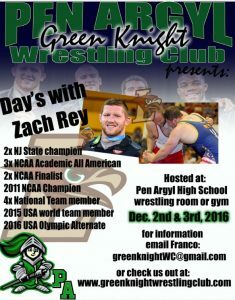 “Having Zach Rey around, with his credential, certainly helped our kids out,” said Jay Grim, Head Coach, Pen Argyl High School Wrestling. “You get a guy like him to come in, it certainly opens up their eyes, keeps them involved in the sport…. 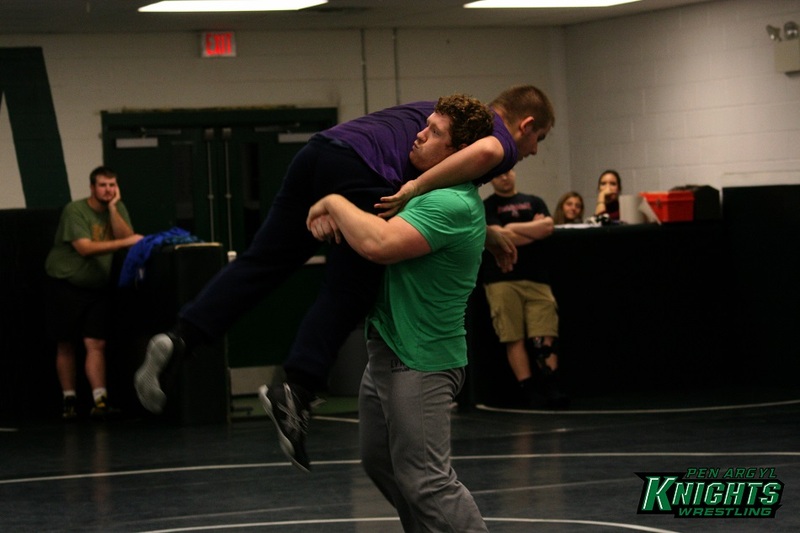 What it means to our program is, that some of our kids that are walking our halls that should be out here on the mat, maybe we can get them back involved in our program,” Grim said. 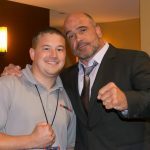 Rey is also a PinCancer.org athlete. 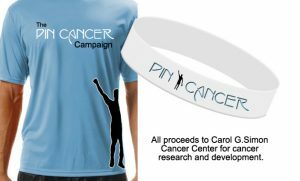 Pin Cancer was founded in 2011 by a former wrestler Dan Tramontozzi after finding out his mother was diagnosed with Stage 3C Ovarian Cancer. Franco Zaccaro, coach of the Pen Argyl Novice Program is a strong advocate of the PinCancer partnership and is credited with bringing Rey in for the seminars. Zaccaro lost his father Lawrence to Cancer in 2015. Zaccaro’s son, Benjamin Whitley, is a member of the midget team. 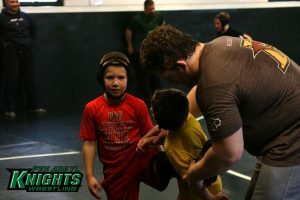 “We really appreciate him coming here and giving back to the community, cause that’s what it’s all about,” said Allen Reto, Head Coach of the Mighty Royal wrestling team, part of the Slate Belt wrestling club. “These little kids, their eyes light up. When someone like that, of that status walks into the room, these kids, they just light up. So before we leave here, he’s going to be signing a couple kids’ shirts for them and they will probably hang on to those shirts for quite a while,” Reto said. “It was an honor to get to meet a two-time national champion and somebody who is on the Olympic team and for helping us to get betters,” said Collin Ramsay, one of the youngsters who participated in the program. The club is partnered with Defense Soap. Defense Soap is the ultimate soap for wrestlers, jiu-jitsu and mixed martial arts athletes. Their soap bars are triple milled with pharmaceutical grade essential oils that are best known for their antifungal and antibacterial properties and their ability to help wash away the skin problems associated with grunge, mat grime and skin funk. At Lehigh University, Rey was a four time NCAA qualifier and three time NCAA placer, including finishing third in 2010, second in 2012, and taking home an NCAA championship as a junior in 2011. Rey finished his college career with 120 wins against only 15 losses, for a winning percentage of 89%. While in college, Rey represented the United States at the 2010 University World Champsionships, where he finished in 8th place with a 1-1 record. Rey has since went on to success at the Senior level, making three freestyle national teams (top 3 in the World Team/Olympic trials). In 2015, after losing in the finals at the World Team Trials, Rey was awarded the opportunity to compete in the 2015 World Wrestling Championships after World Team Trials winner Tervel Dlagnev was forced to miss competition due to injury. Rey went on to finish 0-1 at the championships. 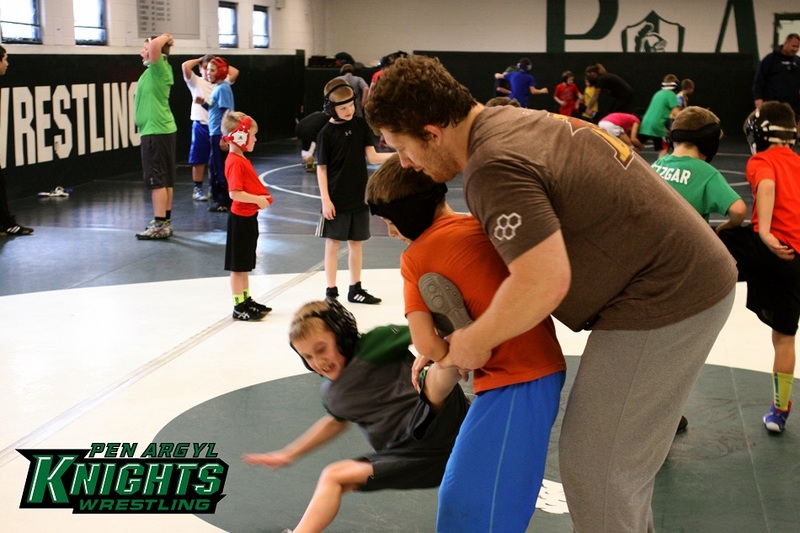 Since graduating from Lehigh, Rey has been working his way up the ladder in the U.S. freestyle circuit while wrestling for the Lehigh Valley Wrestling Club in Bethlehem, where he is coached under former Blair Academy head coach Jeff Buxton.